Natural Deodorants are a healthier alternative to their commercial counterparts, leaving your skin smelling fresh without adding harmful chemicals to your body. 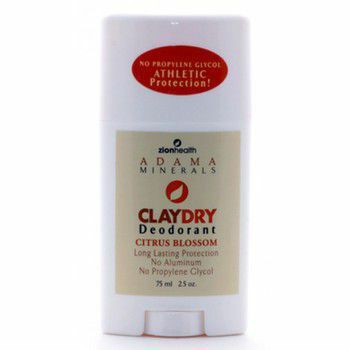 Clay Dry Natural Deodorant uses a custom blend of essential oils and clay minerals to neutralize odor and protect the skin. 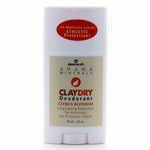 Additionally, minerals from clay help absorb some wetness to provide light, natural antiperspirant properties. The Citrus Blossom version of our deodorant utilizes Citrus Peel Oils to provide a balancing, refreshing smell, but also acts as an agent that is antibacterial, antiseptic, and highly energizing. Featured Ingredient - Citrus plants are used in homeopathic remedies, well known for its ability to chelate and eliminate heavy metals from the body.